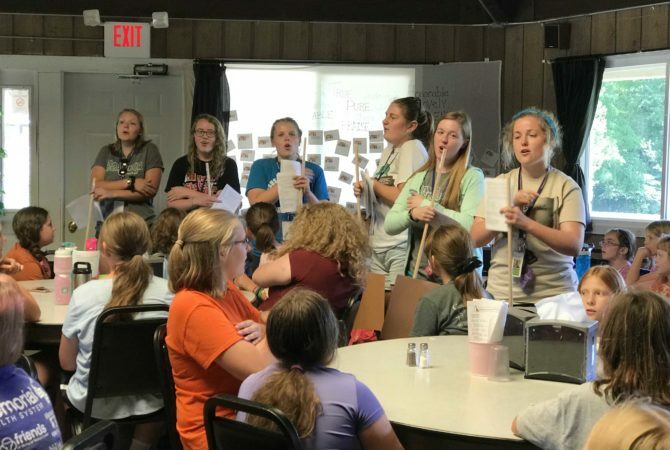 Singing is a big part of camp. 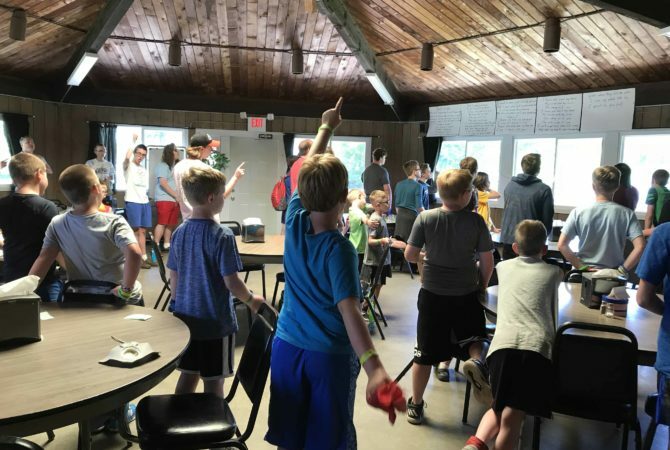 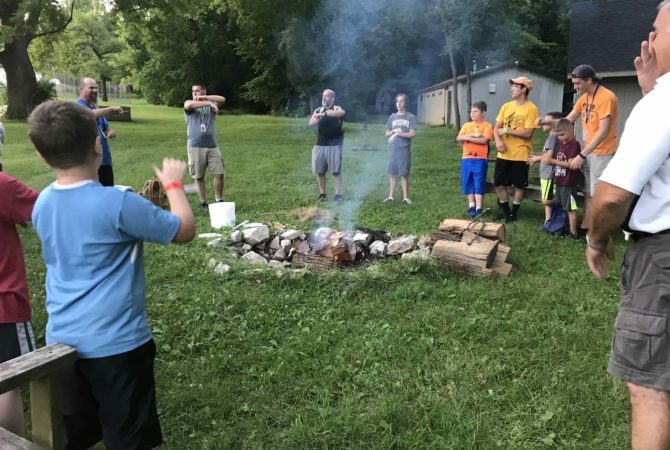 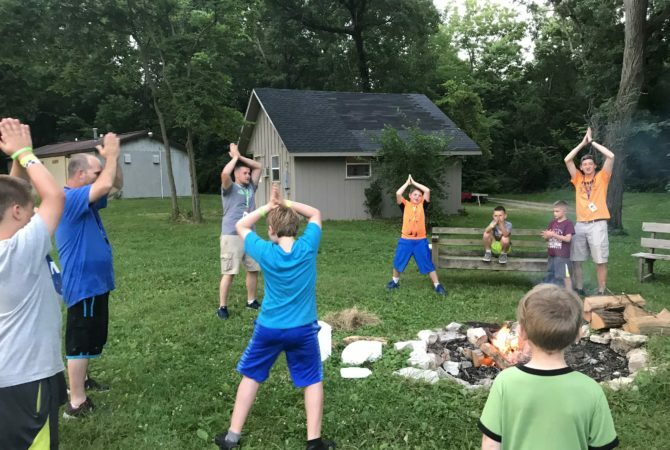 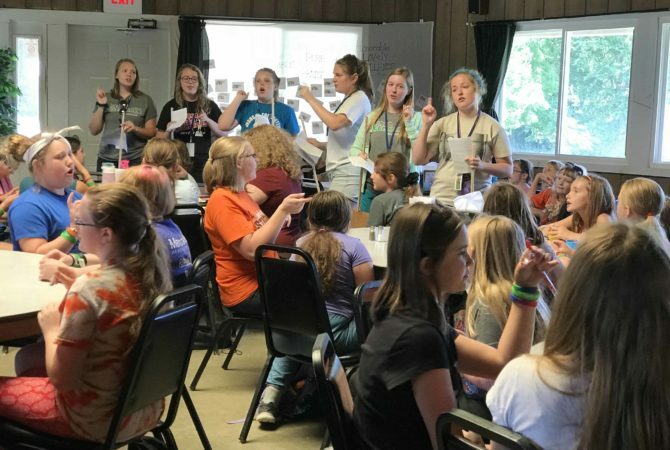 Campers and staff alike can be heard singing around the campfire, walking to and from activities, in the cabins, and outside the dining hall before meals. 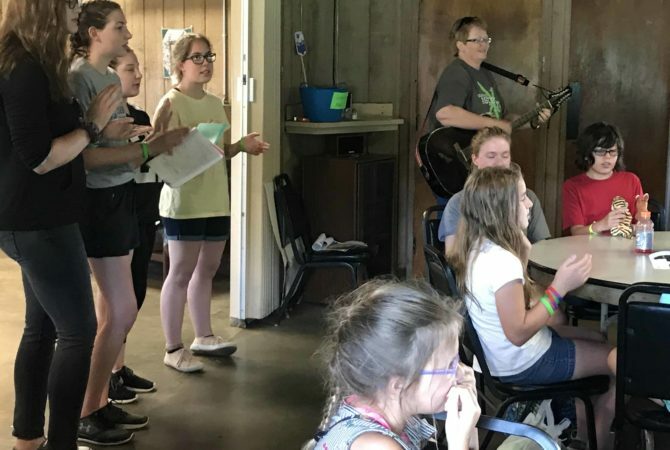 Songfests are planned and led by staff and/or campers at mealtimes and at the campfires. 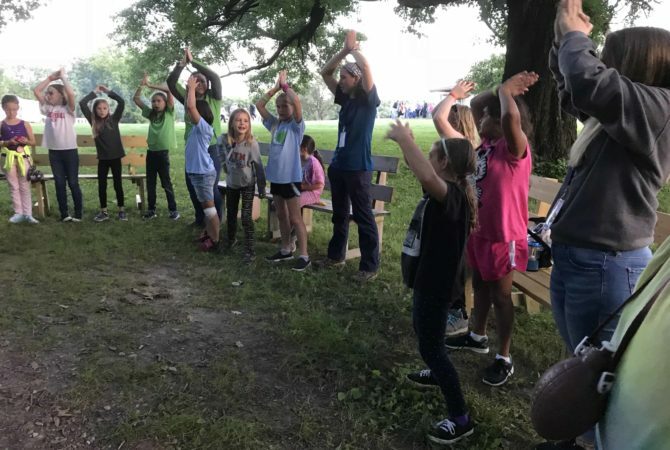 We start with fun, silly songs many of which have motions. 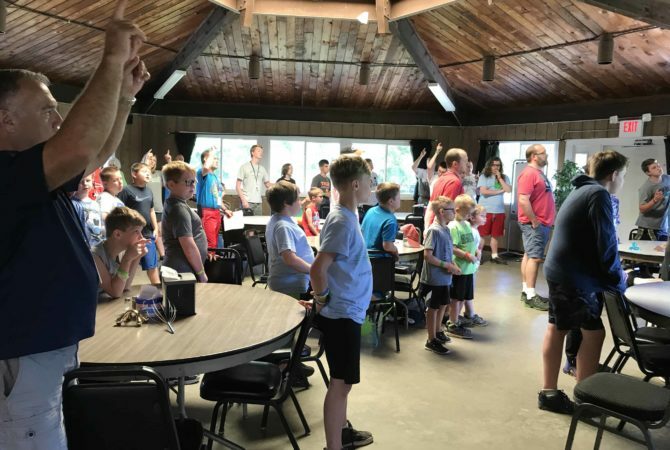 Then we transition to bridge songs and finally to serious, worshipful songs.